A fourth quarter loss for Sears widened despite the retailer making deep cost cuts after the retailer, which has struggled for numerous quarters, limped through its important holiday shopping season. The company promised investors it would tighten spending even more during 2016. Edward Lampert the CEO and Chairman cited warm weather during the winter that drove sales down for its seasonal items. Adding to the weight was the fierce competition with competitors of which nearly all had to clear out inventory by dramatically lowering prices. Shares at the retailer were up 4% prior to Thursday’s opening bell on Wall Street following the announcement of the company that one if its major shareholders would be taking a seat on its board of directors, which will now have 10 seats rather than 9. Of the 10 seats, one will be held by Bruce Berkowitz the Fairholme Capital Management Chief Investment Officer. FCM owns a stake in Sears of 26.3% showed data obtained online from FactSet. For the January 30 ending quarter, Sears, which is also the owner and operator of the discount chain Kmart recorded a loss of $580 million, which is equal $5.44 a share. One year ago, during the same period Sears recorded a loss of $159 million, which was $1.50 a share. By removing an impairment charge of $180 million that was one and off, related to the trade name, the loss per share would be reduced to $1.70. Revenue was down from the same period one year ago of $8.1 billion to a January 30 total of $7.3 billion. Kmart sales at its stores that were opened for a minimum of one year were down 7.2% while sales at Sears were down 6.9%. The two were weighed down by weak sales in their respective consumer electronics departments, though the company announced that the results in this instance were an improvement over last year’s first nine months. Sears announced in early February it would speed up its process of closing unprofitable stores after the holiday season that was quite challenging. The company cut its expenses by nearly $150 million during the fourth quarter and it estimates it will cut between another $550 million and $650 million during 2016. The company also said it was going to shake up its sourcing, inventory and pricing to help jumpstart its clothing sales. 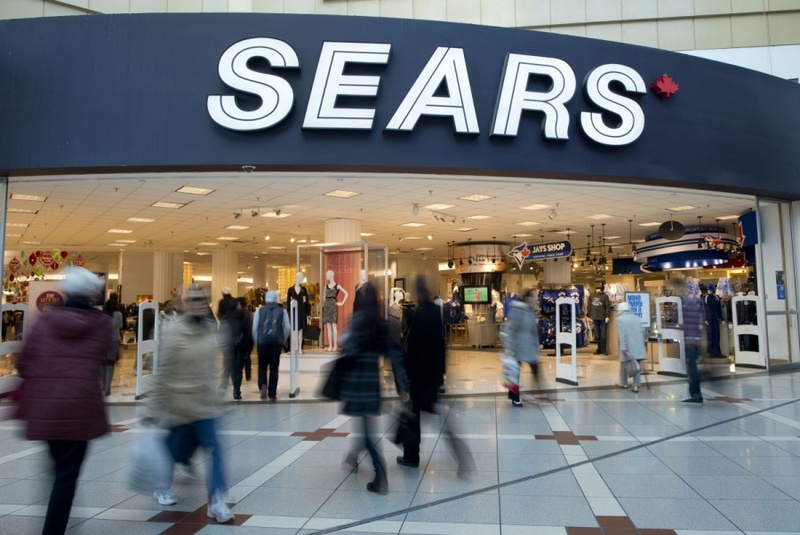 Sears Holding Corp posted a loss for the full year of $10.50 a share with revenue reaching $25.15 billion.